Lindsey Burke, Director of the Center for Education Policy at the Heritage Foundation, discusses school safety and where research suggests efforts should be made to keep children, teachers, and staff safe. Thanks for joining us this week for Family Policy Matters. Safety, particularly in schools, is at the forefront of our minds these days, especially in light of the recent violent tragedies that have taken place in Parkland, Florida and elsewhere across our country. We’re fortunate to be joined by Lindsey Burke, Director of the Center for Education Policy at the Heritage Foundation in Washington, D.C. We will be discussing some of the intricacies surrounding this issue and where the research suggests our efforts may be best directed as we seek to keep our children, our teachers and staff safe while at school. Clearly, this is a critically important issue and very complex issue as well. Lindsey, welcome to Family Policy Matters. Let’s begin with some big picture perspective on this issue of school violence. How does the rate and severity of school violence across our nation compare with the history of what we’ve seen in our country? LINDSEY BURKE: Certainly, any violent incident in a school involving a child is tragic, but Columbine-style shootings are actually quite rare, thankfully. Since about the 1990s, America’s 100,000 or so public and primary schools have experienced about 22 on-campus shootings that resulted in 2 or more fatalities. So if you average it out, that’s less than one multiple fatality shooting each year. And of course one is one too many. But the idea that these Columbine-style shootings are something that we see frequently, thankfully, is not the case. Since 1990, there has not been any steady rise in shootings—so that is the good news. If you look back to the mid-1990s and the early-1990s, there were four times as many children who were killed in schools in the 1990s than today. And that number has been declining very steadily over the past 30 years. JOHN RUSTIN: That’s interesting. I think that’s an important perspective, just so we look at the reality of the situation. I know with media coverage—and clearly, the well-founded concerns that we all have about school violence—that it may seem to some that there’s been a significant increase in recent years. But that really is not the case, although it is good that we’re having a heightened level of sensitivity and awareness of this issue. Now speaking of this issue, what are some of the variety of factors that are most important to consider as we seek to have a truly productive and honest conversation about how to make our schools safer? LINDSEY BURKE: One thing that we have focused on here at Heritage—exactly what you said—how do we have this productive and honest conversation? It became very clear that this is about more than just—our president here likes to say, “It’s about more than two little words, ‘ban guns.’” So that is not the answer. There is a wide range of issues at play. School violence is related to a wide range of issues. So as part of that range of issues, one of them that is most critical is the underlying cultural factors that are related to youth violence, and that would include primarily the creation and the maintenance of stable and strong and intact families. That’s really important and unfortunately, something that we have seen moving in the opposite direction over the years. So in addition to fostering strong families, which would go a long way in a lot of these crises, there’s also the school-level side and the policy side of this, which involves allowing schools to actually punish student misbehavior when it occurs, and to punish it effectively without worrying that they are going to be penalized themselves through federal policies. During the Obama years, the Obama Administration really attempted to tie access to federal funding to school policies that limited discipline measures, such as school suspension. That was something that was promulgated by what was known as a 2014 “Dear Colleague Letter.” So rescinding that guidance, which is something that the current Administration is considering and should do, will go a long way in restoring decision-making authority back to schools when it comes to student misbehavior and discipline. JOHN RUSTIN: That’s so important: just the overall aspects of individual responsibility. I really appreciate so much what you shared about the importance of family structure. When the family starts to unravel, the impacts of that across our society are just enormous. I think that’s what we’ve seen in many of circumstances. LINDSEY BURKE: Yes, that’s right, and you cannot overstate the importance of intact families. Family is just so important. Unfortunately, a majority of the school attackers have come from broken homes. These are homes where we see divorce and domestic violence, absentee fathers. So it’s really unfortunate to see some of these school attackers have really experienced some pretty serious family instability, and that goes for Parkland and Sandy Hook, and others, just to name a few. And I would say that does not mean that children from broken homes should be viewed as threats at all, but I do think that it requires that we recognize the critical importance that intact family plays in that fundamental role of childhood development. JOHN RUSTIN: So true. Now another issue that’s really come to light and has become an area of focus is mental health. How does mental health factor into the overall equation of school safety in the individuals that we have seen perpetrate some of these crimes in recent years? LINDSEY BURKE: That has become an increasing focus, and I do think it is good that we are, in the policy world, broadening our focus on some of the factors that have led to some of these tragedies, mental health being one of them. School staff, I would say, needs to be better trained to recognize the signs of mental health. I should note too, that we should make a distinction between severe mental illness and just general mental health. But school staff does need to be trained to recognize those severe mental health issues. Right now there is typically, in a district school, only one counselor per 500 students. There’s only one nurse per 1,200 students. I don’t think that the answer there is more spending but it is really, empowering schools to have more say over how they allocate their resources and how they administer and allocate staffing positions. One thing that we know is that while there are fewer counselors and nurses per student, we’ve actually seen the inverse over the past few decades of general administrative staff. Non-teaching staff in school has exploded over the past few decades.If you look back to 1950, there were 2.36 teachers for every non-teacher in a typical school district, and today it’s 1 to 1. And so there’s—for lack of a better term—administrative bloat in schools. So if schools had the ability to better direct those resources on their own instead of having to jump through hoops to satisfy federal regulations and requirements, I think we could see them better allocate resources, which would have, I think, a positive downstream effect on the mental health side. JOHN RUSTIN: Lindsay, you mentioned this earlier too, but gun laws often become a hot-button topic when we discuss school safety. Based on your research and knowledge of this issue, do you believe that the laws that we have in place regarding guns are sufficient, or do you think more laws and regulations are necessary? 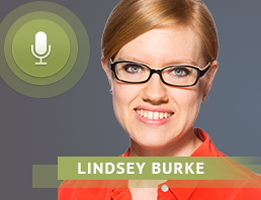 LINDSEY BURKE: I will say that my area of expertise is education policy and not the Second Amendment. However, my colleagues here, John Malcolm and Amy Swearer, have done really fantastic work in this space. The one thing that they have pointed out in a lot of the research that they’ve published recently is that the majority of school shooters under the minimum age to purchase a gun had obtained one legally that was already owned. So school safety really needs to be considered outside of the gun control debate, not be limited to gun control. We see in China, unfortunately, 18 children died in a knife attack in 2010, so it really is something I think that necessitates a far broader conversation than just gun control. JOHN RUSTIN: It’s an easy topic to jump onto, and for folks on all sides of the political spectrum to attempt to use to their advantage to push a particular agenda, but I think, as you’ve well stated throughout our discussion so far, there is far more to this issue than guns. So we really need to take a look at the whole picture and all of these different aspects. Lindsey, from the perspective of security, what changes can schools implement relatively quickly and easily that will help to increase the safety of students, teachers and other staff in the school? LINDSEY BURKE: Armed security guards. Those are one good resource but they can be expensive for a school to implement, and particularly to implement multiple such security guards. One of— as you said—sort of low-hanging fruit, easier changes, might be the use of door barricades in schools. These are small wedges that can be placed in doorframes in seconds that will prevent intruders physically entering a room. So there are some easier and lower-cost fixes that schools could pursue. But I go back to this need really for schools to have more autonomy over the dollars that they’re currently spending. If we could free up some of the red tape and the regulations that are handed down from Washington, and actually empower principals and school leaders to make these decisions about how best to allocate their resources, that could go a long way in helping them. Whether it’s prioritizing armed security guards or other types of school hardening mechanisms, they would be able to do that. There was a proposal floated by Senator Alexander, who is the chair of the Senate Education and Labor Committee, and he basically suggested doing what I just described, which is to allow the schools to really have more control over the dollars they spend and to allow them to use the existing funds that are already sent through federal policy, toward whatever local school safety priority they might need to address. JOHN RUSTIN: Lindsey, what is the appropriate responsibility and cooperation between different levels of government—for example, the school systems, the schools on the ground, and our state and federal government—to address this topic most effectively and most appropriately? LINDSEY BURKE: As I mentioned, I think first and foremost, we really need to free up states and localities to do what they do best, which is to understand the local environment in which they operate. They have the local contextual knowledge to know what they need to do on school safety. Have the federal government really free up the red tape that might bind the hands of state and local leaders. But then down at the state level, there’s also quite a few areas in which state and local leaders could better work together. One example would be across state lines, to have better communication about what works. There are districts and states that do a good job of this. North Carolina’s a good example where they actually have the state agencies—the health agency, the state department of ed. and others— actually get together and do conference calls about school safety. Now what we need to do is export some of that across state lines and actually share these best practices. And then at the end of the day, I think we need to ensure that parents are actually able to find schooling options that are a good fit for their child as well. We know that school safety is one of the biggest priorities for parents when they’re choosing a school. That can go far beyond this conversation and into a conversation about bullying and other general school safety measures at the student level. So, ensuring that families have access to options that work for them, of course, should be part of that as well. JOHN RUSTIN: That’s a great lead in to my final question for you, and that’s: What can parents and students do, from a practical standpoint, to help to make their schools and those environments safer? LINDSEY BURKE: I think, continuing to be as active as possible. In Florida, in Broward County, we have seen parents really step up, students in particular really step up to be part of the conversation in terms of school board meetings, meetings at the school, PTA meetings, etc. At Heritage, we have a lot of resources for parents and students and policymakers, a lot of school safety initiatives for parents and students, in particular. So, there’s a lot out there. But I think being part of the conversation, attending those school board meetings, is really crucial. 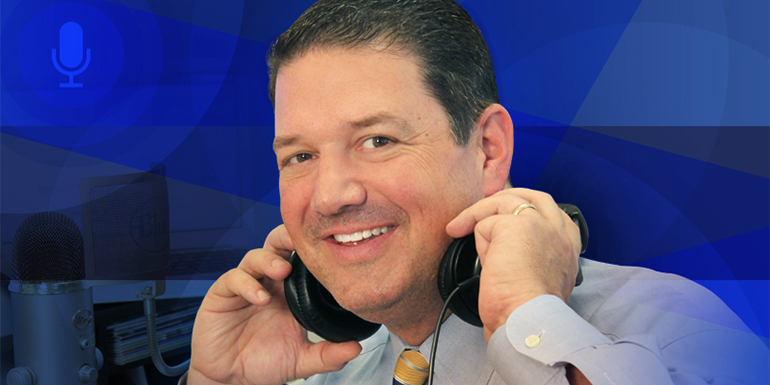 JOHN RUSTIN: Lindsey, please share with our listeners where they can go to get information about the school safety issue and other information—a great wealth of information that the Heritage Foundation provides. LINDSEY BURKE: Thanks so much! You can visit heritage.org and there are two areas on our site that you can check out for more on this. One is our school safety initiative, which you’ll see prominently. And then the other for general education policy, we have a whole education initiative as well that you can click on there: heritage.org. And I would also recommend thedailysignal.com and all of the great resources there. JOHN RUSTIN: Lindsey Burke, thank you so much for being with us on Family Policy Matters and for all your great work at the Heritage Foundation on this very important issue of education.